Identifying the assets within the community is the goal of cultural mapping. Deciding what to map, how to map, and the ultimate use of the map must be addressed from the beginning. This process can start with an internal audit, but should ultimately involve as many outside participants as possible. The Creative City Network of Canada (2009) recommends that holding an open meeting for ideas and input is extremely helpful. This builds a foundation of community involvement and ownership of the entire process. It also allows for gathering information about interested individuals and organizations to partner with throughout the process. Why do we want to create a map? What do we know about the history of the community? What are some needs in the community? Who needs to know about the map? ho will maintain and update the map? The first step after deciding to commence a cultural mapping project involves setting basic parameters for the project. It is necessary to set guidelines or the project could balloon out of control. Once involved, community members are often so eager to participate that the information being gathered might go beyond the scope of the project. Setting parameters like geographic boundaries, categories of resources, and demographics targeted can all help realize a successful map. 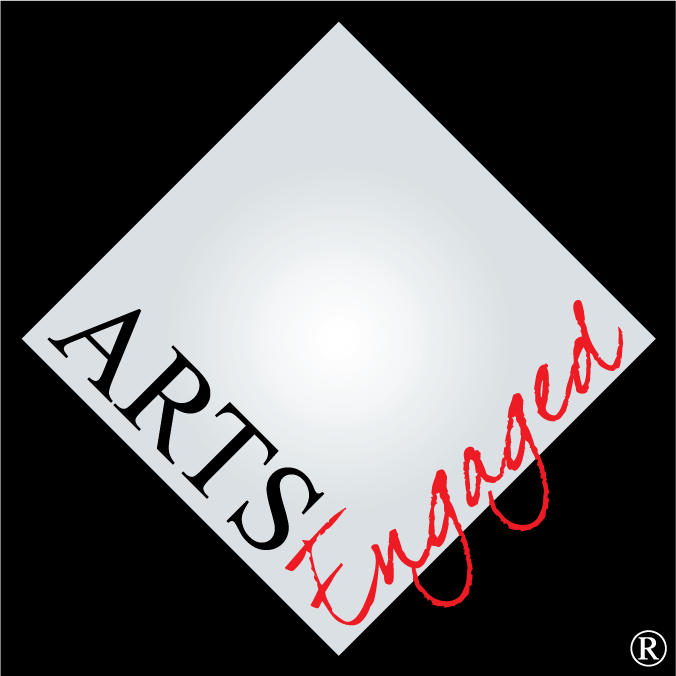 Resource Categories (arts, heritage, education, all, etc. Engaging in a mapping process can become an unending project that uses too much staff power if limits are not set on the amount of time dedicated to the project. Creating a timeline is essential. Thorough mapping can take a year from start to finish, especially when working with multiple partners and funding systems. Whether an outside consultant is hired or staff time is dedicated to the project, it is important to know how much work can be done in the time allowed. Community input is vital to building support for the project. Inviting individuals to sit on a steering committee will give the project a foundation in the community. Also, holding multiple town hall meetings to gather input from residents throughout the data collection process will ensure that the inventory contains tangible and intangible assets from all sections of the community. In order to obtain support for the project the community must trust the organizers. It is important to use personal networks and media channels to gather information from others and to demonstrate transparency. What marketing strategies are effective engagement methods? Once the best modes of communicating with the broader public have been identified, the public must be continually informed about the process so diverse viewpoints will be heard. The project’s budget must take into account the scale and scope developed in preliminary planning along with the resources already available. Funding can come from civic and private grants, charitable contributions, or project funding from a civic or educational organization. Cultural maps do not have to be highly technical. A list of assets or a hand-created map of the community can work to fulfill some communities’ purposes for mapping. However, many recent mapping projects utilize online databases, Geographic Information Systems (GIS) databases, and city directories. To use such information , the project’s technology resources must be assessed. For example, if working with GIS coordinates, does someone in the organization know how to input data or will it need to be sent to another organization for processing? Or if social media, a website or a blog will be used as a communication tool, does the capacity exist to maintain the system throughout the project. This technology is free, however the time required to maintain it must be part of the overall timeline for the project. When working on a cultural mapping project, as with any community development endeavor, it is important to involved many people. In order for the process to work, partnerships must be developed. This serves the human resource needs of the project. Also, without enthusiastic collaborators and community input it is impossible to engage others in positive community development. See Figure 1 for a list of potential resources. Maps can take multiple forms. Is the end product to be a written inventory, searchable database, or visual map of the community? This decision must be based on the information gathered during the preliminary planning stages. The following outlines the importance of constructing fundamental questions, data sets, and information storage systems. It is helpful to review the objectives for the cultural map at this point. Creating a list of fundamental questions that can be used to fulfill the objectives will most likely include questions about the cultural identity of your community. Asking questions like, What makes this community unique? What are its primary assets? How does the community define itself? What information about the community should be shared with a stranger? Understanding the answers to these questions will aid in the development of the data sets for the cultural map. The crucial step in organizing a database is deciding how to categorize the information gathered. As mentioned earlier in the chapter, assets can be both tangible and intangible, making a clear organizational system necessary. It is critical to be able to find and sort the information once the project is complete. When beginning data collection it is crucial to have a way to store the information gathered. Knowing the methods for collection (written or oral) and the storage modes or media will make the process easier. These are simply options for use in a mapping project. Each community will define categories differently based on their unique assets. Depending on the choice of data collection methods (voice recordings, focus group projects, lists of assets from community members, surveys) storage modes must be chosen. Consideration should be given to the type of map you are creating. For example, in creating an online database most written information will just be added immediately. If is important that the stories gathered during the mapping process are treated with respect. When community members open up and tell a story, the facilitator must allow the teller to own the story and not pass the story on unless given permission. Stories and personal anecdotes give the map a unique perspective and should only be used with the tellers’ agreement. Gaining community support for cultural mapping is tremendously helpful for completing a comprehensive map. It is also important to connect with the community to build trust for the people and organizations conducting the interviews and focus groups. This section outlines ways to announce the project to the community and get them excited to participate. It will also present information on hosting focus groups and meetings. These means of creating trust in and a sense of transparency about the project are essential for a fully inclusive cultural map. Traditional press releases and community calendar listings are always informative; however, if the local media can develop a story about the project that is even better. Creating a buzz through local media will help secure credibility for the project and encourage the entire community to be involved. A valuable way to promote community meetings, disseminate surveys, and create excitement is through the project collaborators. The organizations and individuals partnering on the design and implementation of the map are perfectly placed to encourage community participation. In communities there are always unrecognized networks that should be tapped for mapping work. There may be a weekly or monthly gathering of Marketing Directors from multiple cultural organizations. These types of meetings can offer new and innovative networks for reaching populations with which the project team may not have a direct relationship. Diverse individuals that have earned the respect of community members for their work are important to involve the project. Many times such leaders are not recognized until the mapping project has begun. Their names come up in the process of conducting community focus groups and individual interviews. Community leaders can range from civic to association leaders and may often contradict each other’s opinions. It is necessary to recognize their input in the mapping process, however it should be borne in mind that there may be political or social issues bending information to suit the respondent’s needs. The experiences and opinions shared can be crosschecked through further interviews. This part of the cultural mapping process should be fun and inspiring for everyone. Project partners and the community will be more willing to share information if they feel that their stories are being heard and that the cultural assets they love in the community are respected. Sometimes this amount of sharing can create complex feelings when diverse individuals are gathered in one place. Developing an understanding of various opinions and respect for all stories amongst participants is essential for the process to create a stronger community. Creating surveys is another potential method for gathering information. It is difficult to receive stories through surveys, but gaining information about more physical and natural assets in the community can easily be done as part of a survey. Holding community meetings is vital for gathering information throughout the mapping project. Successful meetings (group or individual) are built upon a solid agenda that solicits the requisite information and respects each individual’s participation. It is important not to simply ask questions, but also to allow individuals to share their experiences and opinions on culture in the community. Wrap-up: Where to find more information, when the next meeting will be, etc. Conducting surveys is an important means of gathering information. They can be completed in a short period of time at cultural events or other community gatherings. Surveys can also offer individuals unable to attend community meetings a chance to contribute to the project. The fundamental questions developed earlier in the process should be used to create the survey. Each respondent’s connection to the cultural scene in the community should be assessed. The survey should be distributed via the project’s community partners so that a broad spectrum of individuals has the opportunity to complete them. This step of the cultural mapping process can be the most creative and also the most time-consuming. Actually building a map from the information gathered requires sorting all of the data into categories and double-checking with the community to ensure that nothing was left out. Depending on the type of map being created it can be shared as a digital or paper product. Once all of the information from the community meetings and surveys has been gathered it is time to categorize the information according to the data sets developed at the beginning of the process. It is likely that some information will not fit in the already conceived categories and new ones will need to be developed. In creating a formal map either by hand, Google Maps, or GIS it is necessary to create a legend. Each category of information can have a different colored dot, picture, or other symbol so that people can look for different things on the map easily. Also, depending on the amount of data it might be helpful to create different maps that can be layered for a complete map. For example, each category could be put on a different map allowing people to look for one specific asset at a time. For a written inventory without a map, creating a thorough list with tabs and headings is necessary. A written inventory can also incorporate the stories behind many assets and begin with a history of the community. Written inventories can (and should) be illustrated with photos of relevant events. There should also be an executive summary that includes a brief overview of and the findings of the project; including a chart of the asset categories and the numbers of assets uncovered in the community. As with any project, once a preliminary map or inventory has been created the community should be provided an opportunity for feedback. Allowing for a full community review will ensure that the resulting product includes the full set of cultural assets in the community. Such transparency also serves to build trust in the community, enhancing the likelihood of broad support for whatever projects result from the mapping. When checking back in with the community it is always important to remind them of the objectives and fundamental questions of the project. It is important that everyone knows what information has been collected and why it is significant. This way they do not begin listing assets in a completely new category that does not promote the project goals and objectives. After completing any final edits based upon the community review, it is time to go public with the map. This step should be exciting and fun. Collaborators and, most importantly, the entire community should be thanked for their help in creating the map. This can be done as a launch party, during a community event, or as a press conference. What is important here is that the whole community learns about the finished product. During this event people should be informed where the map can be found, what its use will be, how they can continue to contribute to the map, and how much fun it was creating it together.